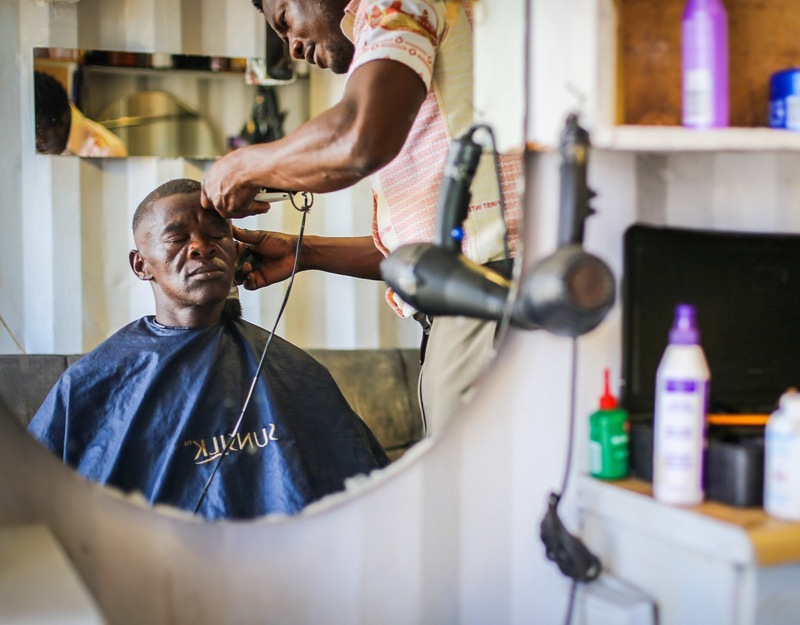 You are very welcome to probably meet the most stylish barber in Gugulethu, Logeen Godwin. 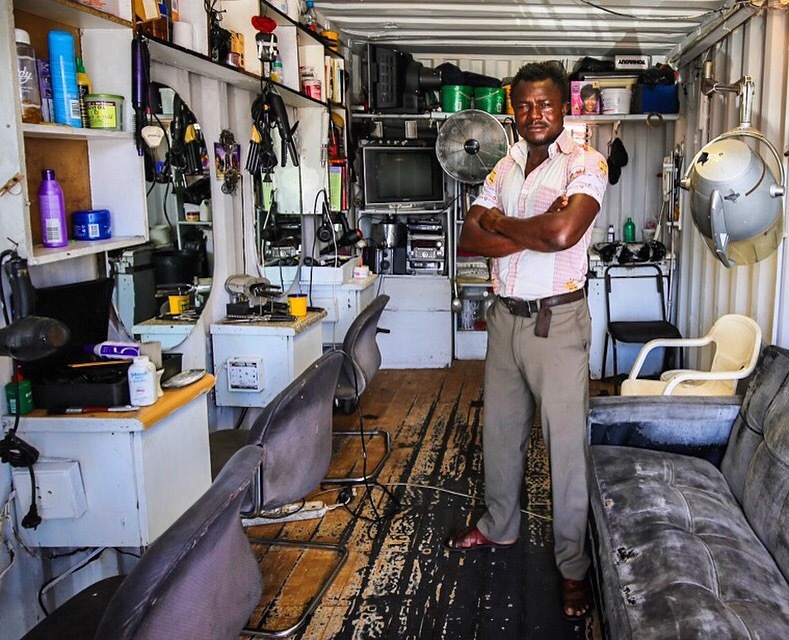 He hails from Nigeria but has started his own barber business in a container in Gugulethu a few years ago. He is passionate about making people look real stylish. We met one random Sunday when I visited Mzoli’s. (His container is just up the road from there). I took my car guard for a haircut and he did a great job for only R30.